Home / Affiliate marketing / affiliate marketing for beginners / Blogging Tips. / How to make an affiliate sales using Pinterest / Get Started With Affiliate Marketing - How New Bloggers Can Finally Make Money Blogging! Get Started With Affiliate Marketing - How New Bloggers Can Finally Make Money Blogging! Everyone does affiliate marketing, you should too. 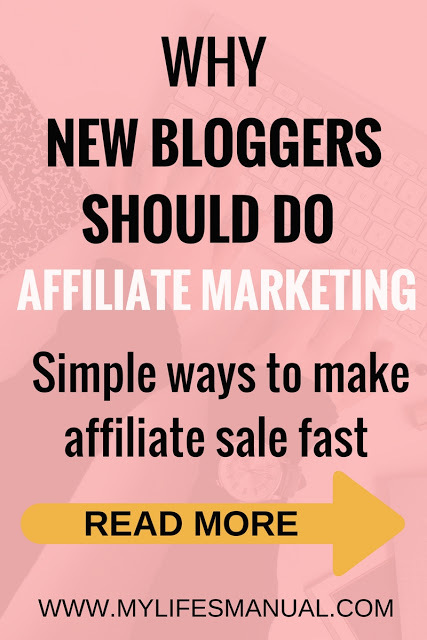 After reading this blog post, you will realize why affiliate marketing is one of the best ways for bloggers to earn and how you can make affiliate sales too! Selling your own product is the best way to make passive income online but you should not wait for that day before you monetize your blog. You can make money from your small and brand new blog with affiliate marketing from day one. This post contains affiliate links. I get commissions when you purchase from this site at no extra cost to you. Please know that I only recommend products and services that I trust. Make your first $100 in affiliate marketing with this free course. Your earning is not based on page views. 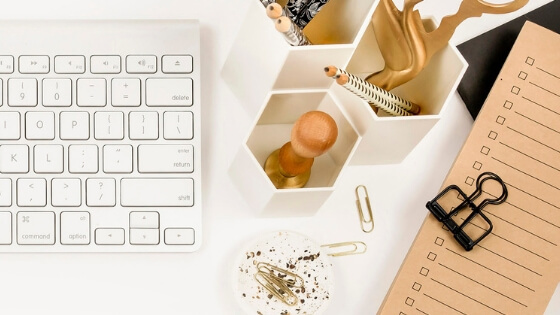 Sure, you need eyeballs to your affiliate links but with the right strategy, you can make affiliate sales from your small but targeted audience. Sign up for an affiliate program and have an access to so many products that you can promote. Choose a product that resonates with your audience and can bring value to your readers. Banners and codes will be available to use in your blog post, social media, and email. You can make money while you sleep and this is so true with affiliate marketing. Implement a proven strategy for sharing your affiliate links in your blog post, social media, and email. Scheduling tools like Tailwind on Pinterest are great ways to save a lot of time promoting your content. This eBook will show you how to make passive income on autopilot using Pinterest with affiliate links. There are so many high paying affiliate programs to join. Some offer up to 50% commission. Ultimate Bundles is an affiliate program that you would want to join. It offers 40% commission on every bundle sold. Ultimate bundles are so easy to sell because it offers 93-98 % OFF retail price. Promote the Ultimate Bundles. Sign up here! Ebooks and Courses are my personal favourite to promote. I find it easier to promote something that has helped me personally. Recommend products/services that your readers need! To become successful with affiliate marketing, it is vital to partner with an affiliate program that resonates with your audience. Only promote products and services that can really help your readers. That will increase your affiliate sales and your audience wanting to hear more from you! Find the right affiliate program to join and get access to over 500 options organized with a different niche in the Affiliate Program Master List. Taking a course or downloading an ebook about affiliate marketing strategy will speed up your affiliate sales. You will never regret investing in some courses to learn proven strategies and making affiliate sales right away, instead of spending some time researching and guessing what's going to work. Earning passive income without the hassle of creating your own product is awesome. You can even make affiliate sales from just one blog post. With affiliate marketing, new bloggers get the chance to monetize a brand new blog even without a ton of page views. If you learned something from this post leave us your comment and share. Do you make money online? How? This is so true indeed affiliate marketing are the best way to earn from blogging. After that you just only need to work more on publishing or making some promotional offer to your prospective clients so they will perhaps take a look on your propose products or services. Great post! Just starting with affiliate marketing. What is the strategy you use to capture sales? Thanks! What do you mean with capturing sales? I use Pinterest. Affiliate marketing is a great way to monetize - especially if your blog/website is a niche market. Using an affiliate program like Amazon with it's vast products really gives you an opportunity to talk about anything! I have affiliate marketing set up on my blog, but haven't made any money from it. I'm not sure what I'm doing wrong. Maybe I should try expanding the products I suggest?? Taking a course about affiliate marketing will be a big help. There are some blog posts too that discuss about making affiliate sales. Have you tried Pinterest? I got a free ebook about affiliate marketing. You can dowload it. check the sidebar of this blog to see the free ebook. Interesting post - I haven't really gotten into affiliate sales yet - but it's on my list of things to do! You should start very soon. Thank you. Thanks for sharing! Will look into these so I can make money! I'm working on getting affiliate marketing for my blog, I like it much better than ads everywhere! Affiliate marketing is way better than Ads. Great article. 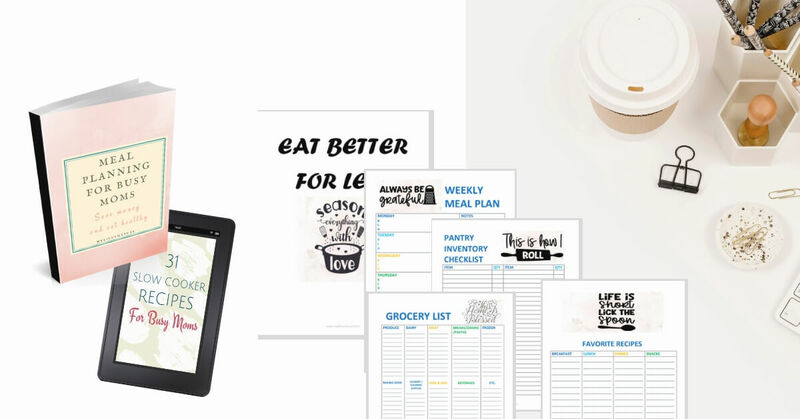 Have you discovered how to organize your monthly income on a spreadsheet or anything, to better organize how much you make on a monthly basis? That's Awesome, I have been blogging around for long time but i haven't thought of it but now i think i'm going to try it! I was blogging for 3 years and just signed up with Amazon Affiliates. We'll see how it goes! Thank you for listing affiliate programs in this post! I was really needing to find another program or two to join this month. Thank you for sharing this list of affiliate programs to join. I need to sign up with two. Great information here. I'm looking to get into affiliate marketing myself! Still trying to build readership! You have me convinced with your great list of reasons for affiliate marketing! I actually have some of the affiliate options you mentioned (including the Ultimate Bundle), but I just haven't had the time - taken the time - to review all the materials to figure out getting it set up and operating. I've always wanted to start affiliate market. Will now have to research on how to start! I'm only just starting out but affiliate sales is high on my list of priorities. I've signed up for Ultimate Bundles and am looking forward to finding a few more my audience will love! I started blogging as a hobby, but lately I started thinking about affiliate marketing to make some extra money.. My only concern is time. I have a very demanding job, and I am not always able to spend time to my blog, especially on weekdays. Can affiliate marketing work if you don't spend time consistently on promoting your posts? Yes Ionnna. Tailwind and boardbooster are a great tool to schedule your affiliate links on Pinterest. Thanks for sharing, like you I believe affilliate marketing is the best way to go for anyone who wants to make money online, no dealing with shipping or refunds.Having said that, to make money in affiliate marketing you have to deive enough traffic especially if you`re promotting products for low paying affiliates like amazon. Super helpful for a newbie like me! I'm looking into affiliate marketing for my blog, actually, so this information is so timely! I am planning to do it within the next month or two. So, thank you so much! Really great list of the affiliate marketing for bloggers. Thank you for sharing. I know some people here. You make excellent points which is why I tried affiliate marketing. I never made a penny. I make money through sponsored posts. The right offer presented to targeted traffic will get you some nice affiliate sales in certain niches. I've done this with some health blogs. It's worth bearing in mind that affiliates usually only get commissions on front-end sales, and perhaps sometimes an upsell or a recurring. But the significant profits are usually made by the product owner on the back-end with higher ticket products (from the customers you find for them) for which you'll get no commissions - one of the advantages of being the product owner with affiliates to sell for you. And also why it's more profitable for the product owner to drive paid traffic to their offers, than it is for their affiliates. I'm a new blogger and this info helps so much. I have a few affiliate links but haven't made too much just yet. Thanks for sharing!! It sometimes depends on your niche and targeted audience. Be patient, take some courses to speed up your learning. You'll see the positive result eventually. Just starting with affiliate, still learning, thanks for the tips! You are welcome Raquel. Thank you for dropping by. I started affiliate marketing a few months ago but haven’t had seen any money through it. I think my biggest problem is not really understanding what I’m doing. I will definitely be saving this for reference. It’s very inspiring! There are a lot of free resources to get you started. I hope you can find time and focus with affiliate marketing. Great tips. I love affiliate marketing. You can really earn with your own website. I strated 2 months ago and already have some earnings. So far I am really enjoying affiliate marketing! It's great to find other brands or services in your niche that you can share with readers and also be compensated a little. I'm looking to get involved in Affiliate Marketing - I've pinned this post so I can come back to it when I'm more prepared! This has been on my to do list! I need to make it happen now- thank you! The explanation was great. Thanks! This is super informative and for sure something I’m going to be looking into. Thank you! Great post, I'm new to affiliate marketing but it definitely seems to be the way to go! I am having a really rough time with affiliate marketing right now. I was doing really well. Not sure if all the changes to Pinterest lately has been a factor. Awesome post. This is something I'll be investing more in this year! Great article. I'm an affiliate for a few of the companies/products you have listed. I just need to get traffic to my site. I enjoy reading this today. I just stared trying to add to my sites. I am really kinda frustrated because I These Sites give directions without really explaining what and how to add codes etc... but I am looking forward to reading more and getting it figured out. Great post! All us bloggers need to know to take advantage of affiliate marketing. 👍🏽 Thanks for sharing.